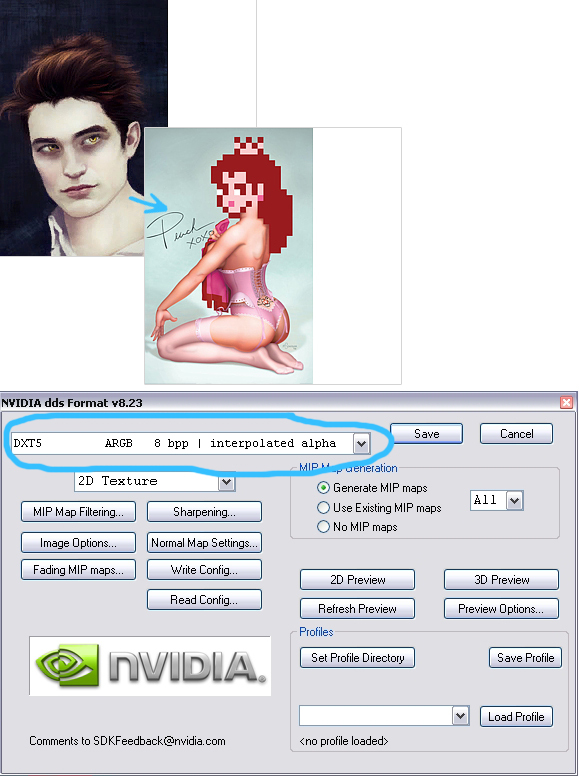 Customizing my painting mod to get your Sims painting images you want to see is easy. For reals. I will show you. 1. The painting mod, obviously. 2. The gallery of images (422MB), so you know what you're replacing. 3. A graphics editing program, such as Gimp or Photoshop. Maybe Paint Shop Pro, I dunno. I use Photoshop, myself. 4. The file format the images are in is called DDS (as opposed to JPG or GIF, which is what most people are used to), so you will need plug-ins so that your computer and graphics program know how to use it. Get the DDS Utilities. Here are the plug-ins for Gimp and Photoshop. 5. The Sims 3 Package Editor, s3pe. Open the gallery. Look through it. 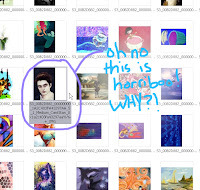 See Twilight fanart. Feel betrayed. Maybe vomit a little. Decide to do something about it. Open s3pe. In s3pe, open the mod. Find the instance number for the image you want to replace. Open the DDS file that you exported in your chosen graphics program. Replace Mr. Cullen with something you like better. In s3pe, go to Resource > Import > From file... and, duh, import your new pic. As long as it has the same filename, it'll automatically replace the old one. Save the mod. And you're done. If you see an image you don't like, or a bunch of them, or simply want to reduce the filesize of the mod, just delete the file in s3pe. Highlight the file like, like in step 2, and press the Delete button on your keyboard. Save the file and, bam, it's gone. Your Sim will go back to painting the [ugly] original painting. You can also export/import multiple files at once. Feel free to export all 1,580 images, edit them all, and re-import them. Go on. I dare you. And also feel free to share your edits of this mod. Just please give me credit for the work I did. And the work you did. Just because. Thank you so much! I can't wait to get started. I have one question. For the paintings marked as brilliant or masterpiece, is there any way to know which trait they go with? Hmm... 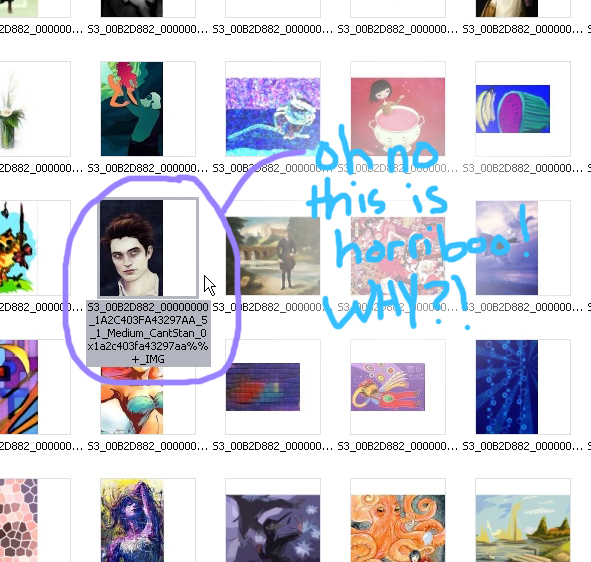 It doesn't look like you can tell by the filenames. I wish I was playing Sims 3 so I can put these in the game. They rock! I'm going to download Sims 3 now! I'm NewOne from One Billion Pixels and I'm also Founder of Creator's Corner. Anyway, we feature creations of our members (those that follow the blog) by displaying pictures and links to where those items can be found. You have a wonderful site and we would love to feature your creations on our site. Please have a look at our site and you can make decision later whether you want to be our member or not. Reviving an ancient thread here. Having to use gimp (oh, photoshop, how I miss you) and I don't get your lovely dialog. When I try to save the image with dxt5 compression, it comes out semitransparent. Saving it with no compression in RGB8 results in fine images, but I'm not certain how to verify that they're working. Do you happen to know if compression is vital, and if so, the proper compression settings for GIMP? Thanks. I don't think I'm getting email notifications for this entry for some reason... Sorry for the late reply, Dvana. I don't know anything about anything, to be honest. I'm just a monkey that copies what others have told me. All I now about how to set the compressions I learned from other CC creation tutorials. Is there any way I can just copy and paste? Instead of having to do all this hoo-hah, like replacing and yadda yadda? Copy and paste what, exactly? I'm just a little confused. Is the one trait supposed to be gloomy or grumpy? Because the main gallery lists it as being gloomy, but you've used grumpy as well. Ah, I see. I forgot to note that gloomy and grumpy are the same... I think the trait is selectable in the game as "grumpy," but the files are named "gloomy." Or vice versa, but they're for the same trait. Hey plum would you be able to do something simillar with the draft table that came with ambitions? I am trying to add my own in. But the only gimp I can find is 2.8 and the add on I can't find. When I try opening your mod in pe I get an error message. Like I said, I don't know anything about Gimp, but if you type "libgimp-2.0-0.dll" into Google it looks like there are solutions available. Is there a way to tell what skill level a painting requires? Stupid Question: Where is the "gallery"? How do I get to it to go through the paintings?